Bathroom Fitters in Waltham Cross, EN7 5AU. Covering all areas of Hertfordshire, Essex and Enfield. AJ Mears Bathrooms is a well established, trustworthy, reliable and professional bathroom fitting company with over 20 years experience. Based in Cheshunt (Herts), we serve all areas of Hertfordshire, Essex and Enfield. We guarantee a friendly, clean and tidy service with all tradesmen used being fully insured, qualified and experienced in their respective trades. We can provide other service not listed above, please call to enquire. "Tony done an amazing job with fitting out our bathroom, transforming a dull shower room into a spacious bathroom. He took time to explain different options of shower fittings, even helped out when we had a problem with our boiler, he was nothing but polite and helpful. Tony kept the space tidy, kept me updated when there was a slight delay and was able to recommend an excellent tiler for the works in the bathroom. Great value for money, would highly recommend." "Tony did a wonderful job fitting a new bathroom for me at what I thought was a very reasonable price - he was very personable, efficient and very positive about dealing with a couple of minor challenges that cropped up! I was also thoroughly impressed with the people he arranged to complete tiling and electric work as part of the refit - everything ran like clockwork. Tony also was brilliant in helping source a new bath panel when the delivered one proved inappropriate, and was happy to come back at a later date to fit this. All in all I would absolutely recommend Tony's services to anyone look for a top class plumber." "Really pleased with our bathroom refit and have already recommended to someone else. Very clean and tidy and very fair on price"
"Tony has just completed a bathroom refit for us and we're absolutely delighted with it. 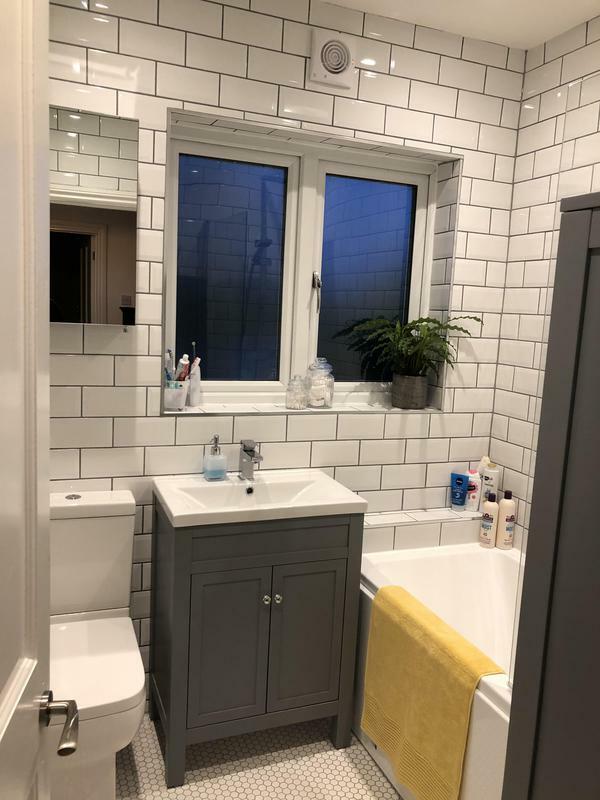 I never thought it could be done as it isn't the biggest of bathrooms and with an awkward layout, but it's really been transformed into something both practical and that looks fantastic. It even makes the room feel bigger than it is, so thank you very much!"